Throughout the first half of 2013 Tuned City was starting already with a series of networked events – lectures, artistic presentations, mini-residencies, university projects and workshops – in close collaboration with many different partners in Brussels. In order to shape the topic, especially the workshops were important tools. Space and its sound can be considered an artistic subject or field of operation in both a physical sense as well as in terms of symbolic and metaphorical associations. 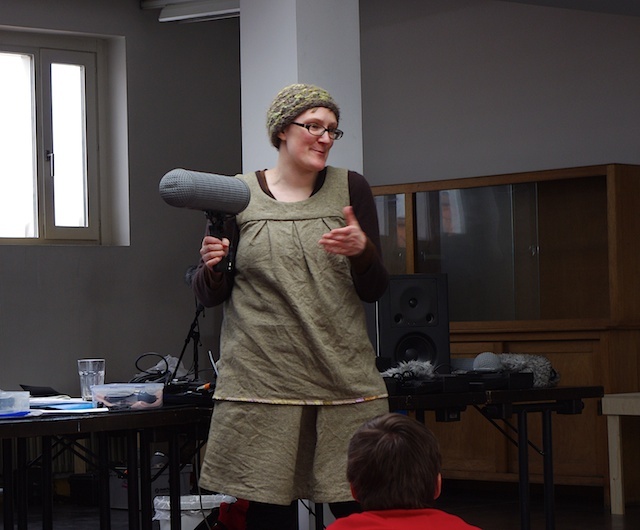 The different workshops opened these various layers of meaning, gave insight into individual working methods while exploring specific approaches to sound and the urban. Tuned City has always focused on direct, participatory situations to explore auditory modalities. Some participatory workshops continue during the Tuned City event itself. Invited artists will each share their individual tools for listening to the city, and offer both a deeper insight into their artistic practice and a chance for the participants to become actively involved in the program of the event.